Home » China » India » Indian Air Force » Pakistan » Russia » UK » us » Is India Dropping Its Cruise Missile Program? Is India Dropping Its Cruise Missile Program? India’s nuclear-capable Nirbhay long-range cruise missile program will likely be shut down following yet another failed test launch, a source within the Defense Research and Development Organization (DRDO) told local media. No official announcement has been made to date and the program reportedly will be reviewed momentarily by the Indian Ministry of Defense, after which a decision will be made. The project was originally launched in 2004 and projected to be completed by the end of 2016. The Nirbhay is a subsonic land attack cruise missile armed with a 300-kilogram warhead capable of reaching speeds of 0.6-0.7 Mach, and designed to be launched from air, sea, and land. 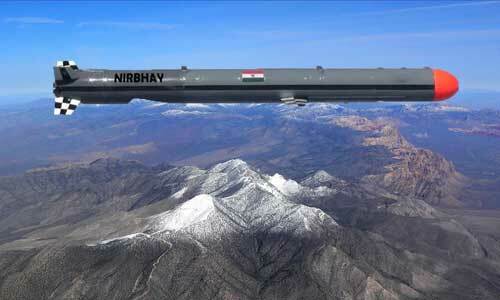 Since March 2013, three Nirbhay test launches have been classified as failures. “The project has been plagued with difficulties as the scientists are still struggling to fix the problems in the flight control software and navigation system while some others point fingers at the hardware,” The New Indian Express reports. Following a test launch on December 21, which took place at the Integrated Test Range on Abdul Kalam Island off the coast of Odisha, the missile had to be destroyed mid-air after it strayed from its programmed course. “The booster engine in Nirbhay’s first stage started working. The missile lifted off from its launcher. But it started veering dangerously towards one side in less than two minutes of its lift-off,” DRDO sources told The Hindu. “It could not be ascertained which is defective, whether the software or hardware, but Nirbhay missile failed in its fourth attempt,” a DRDO source revealed to The New Indian Express. Only one missile test launch on October 17, 2014 met all test perimeters so far. Various analysts have questioned the Indian military’s requirement for a subsonic cruise missile given that the BrahMos supersonic cruise missile, capable of traveling at speeds of up to Mach 3.0 and available in surface-launched, ship-launched, and air-launched variants, is already entering service (See: “India to Test Fire Nuclear Capable Missile From Fighter Jet”). However, in comparison to the Nirbhay, the BrahMos, a Indo-Russian joint venture, has a much shorter maximum range of 290 kilometers. Nevertheless, in October, during the 16th Intergovernmental Commission on Military-Technical Cooperation, India and Russia agreed to double the range of the BrahMos cruise missile to 600 kilometers, following India’s accession to the Missile Technology Control Regime (MTCR). As I alluded to last week, the cancellation of the Nirbhay program would in particular be bad news for India’s first domestically developed and built ballistic missile nuclear submarine (SSBN) class, the Arihant-class, which was slated to be fitted with India’s domestically produced cruise missile.